Who doesn’t love subscription boxes? Get a fun box full of Scentsy products and samples for you to try! products sell out, they will always be replaced with comparable items. Scentsy home office. Selections represent a variety of new, on-trend and seasonal items. also vary by country given that not all product lines are available in all countries. months — to continue trying the latest Scentsy products on a regular basis. 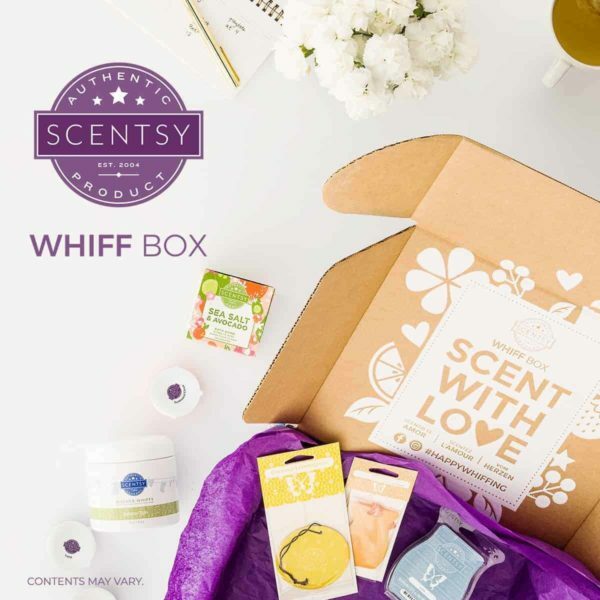 Each Scentsy Whiff Box, regardless of its contents, will be $30 (USD)/$40 (CAD). Products included will be discounted by roughly 15 percent of their individual retail price, making it a most fragrant value.